Microneedling is a minimally invasive, well tolerated procedure which uses fine needles to puncture the skin, creating a controlled injury. Each of these small puncture wounds stimulates the skin to fill these microscopic wounds with collagen and elastin. This repair of the skin results in smoother, tighter and healthier skin. 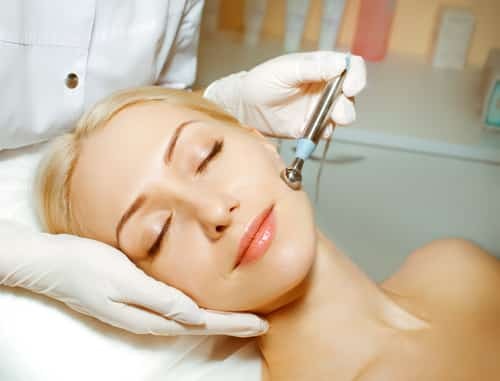 Microneedling improves fine lines and wrinkles, pore size, scars, and uneven texture. The depth of injury to the skin can be controlled, allowing for customization of each treated site, zone or concern. Common treatment areas include the face, skin around the eyes and mouth, the chest, and the back of the hands. A topical numbing cream is applied prior to treatment to minimize discomfort. Multiple sessions are typically recommended for optimal results. These sessions last about an hour and are spaced 4 weeks apart.